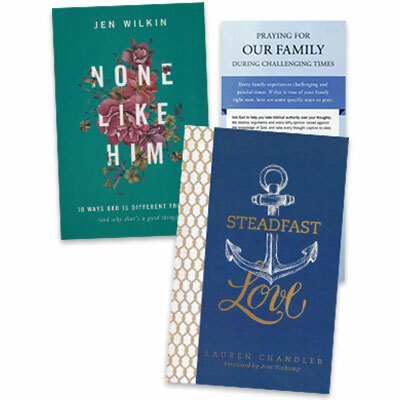 Purchase the books Steadfast Love and None Like Him and receive free the Praying for Our Family in Challenging Times prayer card. God is self-existent, self-sufficient, eternal, immutable, omnipresent, omniscient, omnipotent, sovereign, infinite, and incomprehensible. We're not. Every family experiences challenging and painful times. If this is true of your family right now, this prayer card will serve as a guide as you bring your troubles before the Lord.